SAVE Stores values all of its customers. However, local customers are offered special benefits in addition to local service. 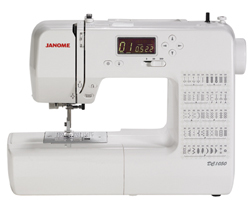 For a small investment, you can receive an extended labor warranty for 25 years to cover labor for ALL warranty claims and in store lessons for anyone that uses your Janome DC1050! Be sure to ask your sales consultant for further details. This page has been viewed 24041 times.